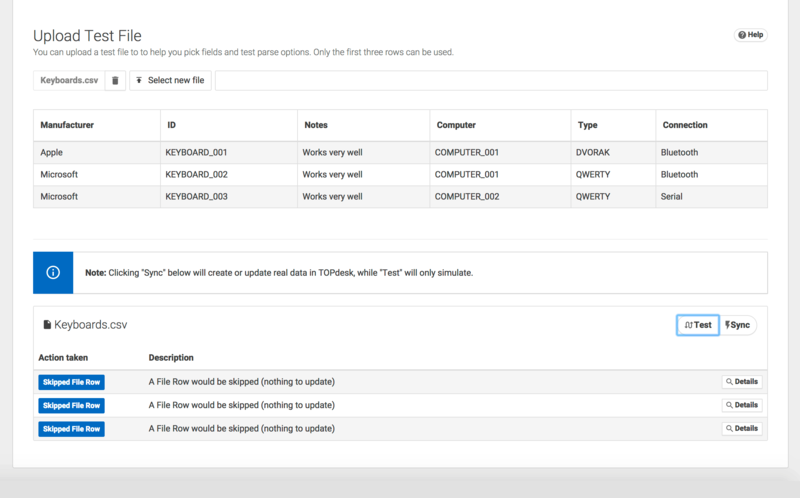 Automatically import column-mapped CSV files into TOPdesk New Asset Management. Our CSV Files to TOPdesk Assets connector gives you a WebDAV area where you can upload CSV files for periodic import into the new TOPdesk Asset Management module. 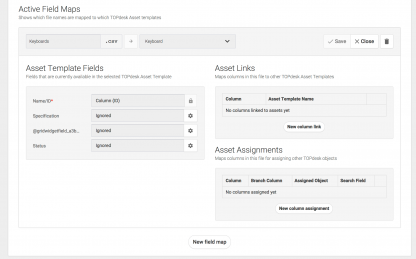 Map columns directly from your CSV files into their corresponding fields in your TOPdesk Asset Management Templates and let the connector automatically create or update missing assets and assign them to their correct persons, sites or other assets. 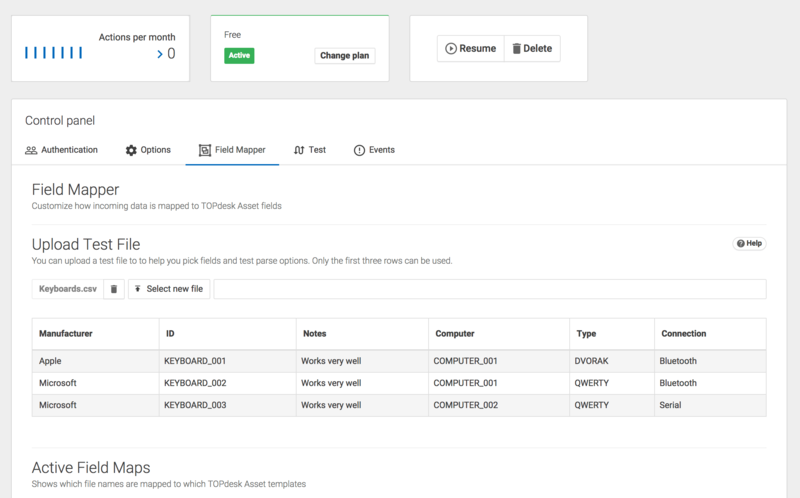 The connector gives you full control over which file you upload corresponds to which asset and which column in that file corresponds to which field in that asset. 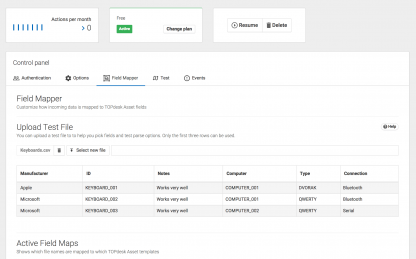 Mapping the way you want it becomes a breeze. 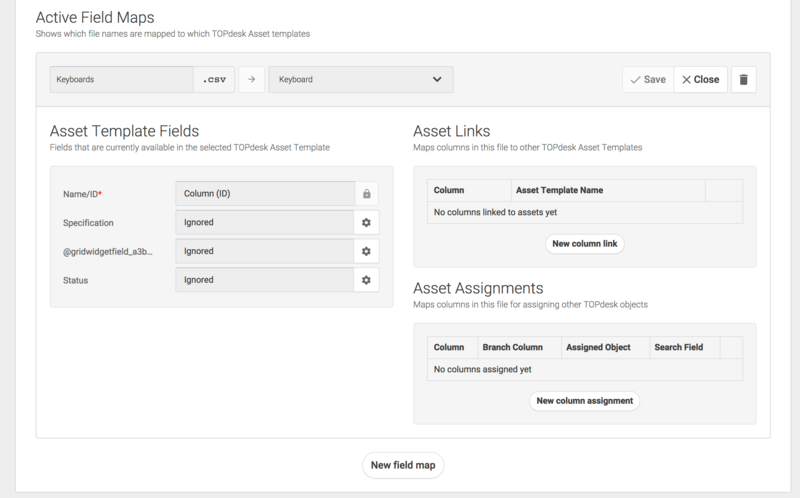 In addition to mapping columns to asset fields you can also designate a column as corresponding to a TOPdesk Person, Site, Room or Person Group. 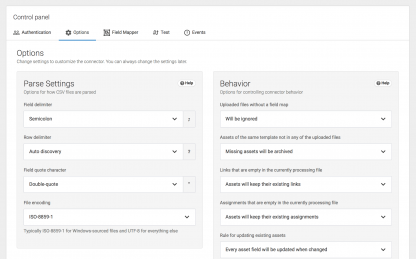 The connector will automatically assign the right object to the asset in TOPdesk. 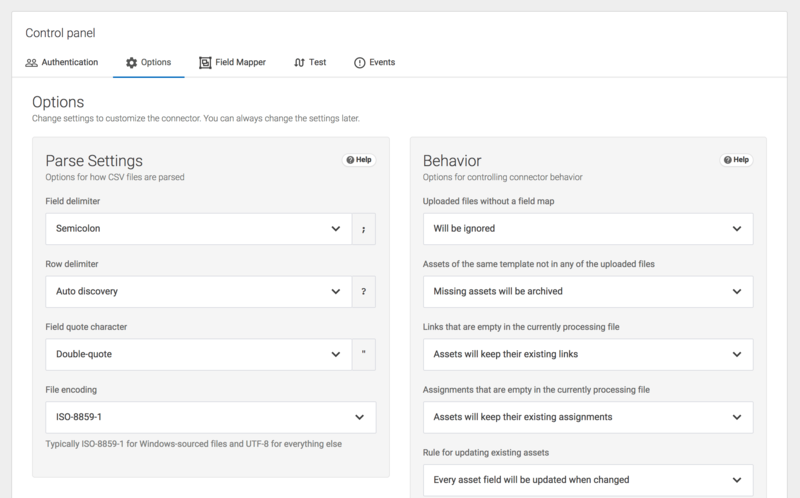 Assets can also be linked together using a parent/child relationships.